This is the first part of a 5 part series on the history of Spanish and Portuguese Jews delivered a few months ago to a group of Jews and Christians. The lecture is based on my book titled Secret Jews. 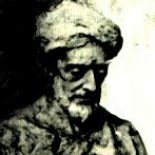 This entry was posted on December 3, 2018 by rambam442013 in Sephardic Lectures, Sephardic Videos and tagged Anusim, Conversos, Expulsion, Sephardic Jewish History.